In our last AES Insights Blog post, we reviewed the importance of selecting proper coaxial cable and its installation. In today’s Blog, we’ll briefly review just a few ways you can test your cable installation along with your antenna and transceivers performance. 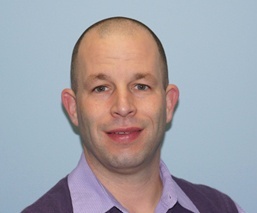 There are several points of failure associated with Radio Frequency (RF) power performance. During the course of terminating coaxial cable, it’s possible to damage one or more of the cable components (such as the conductor, dielectric, shielding, etc.). This type of damage will degrade performance of the network. Other performance impacting areas include tight cable bends, cables damaged by weather conditions, damage to antennas, and underpowered transceivers to name a few. Other alternatives include the Coaxial Dynamics Model 81xx and the Telewave 44a. AES transceivers are highly calibrated components. Each Subscriber transceiver is calibrated to a power output of 2W (+- 0.2W), while IP Links are calibrated to 3W (+- 0.5W). Deviations in power output are affected by numerous conditions, such as environmental conditions. 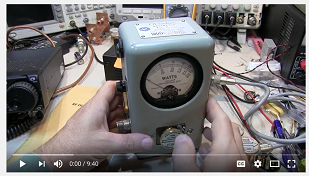 To assist you in learning more about testing with a Wattmeter, AES has partnered with Alan Wolke, an experienced Electrical and RF Engineer to bring you this video on “The Bird 43 Directional Wattmeter: Overview and how-to use”. Please watch this video before reading the remainder of this blog. Special thanks to Alan for his support. 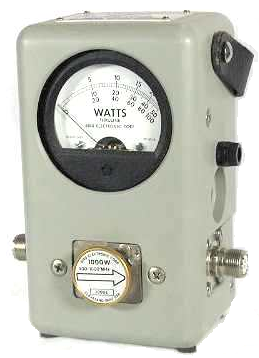 When performing Wattmeter testing, the Reflected Power should be no more than 10% of the Forward Power. For example, if the Forward Power of the transceiver is 1.9W then the Reflected Power should not be greater than 0.19W. If the Reflected Power is greater than that, it is an indication of a failed component down line from where the test is being performed. 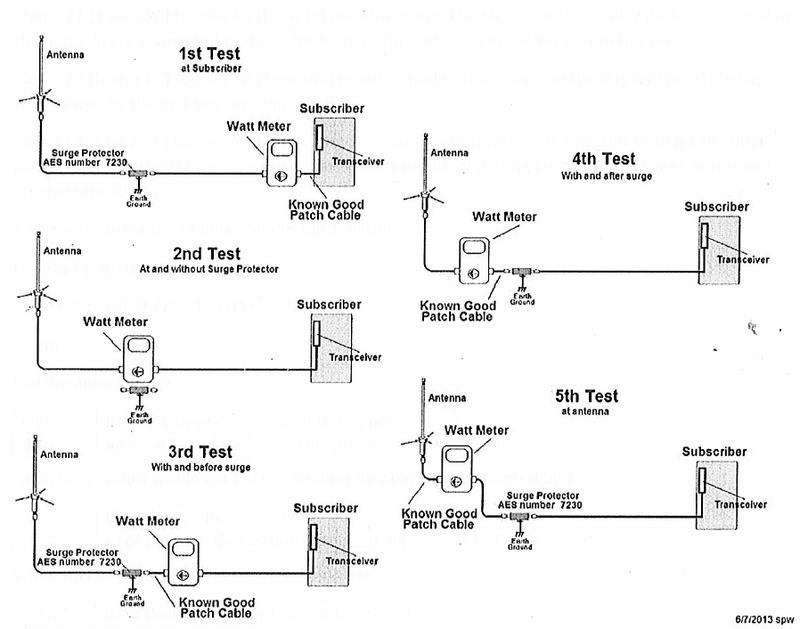 You should move the Wattmeter to the next connection point and test again, using a process of elimination to isolate the fault. For more information on RF performance testing or if you need an answer to a question, please contact AES Technical Support. 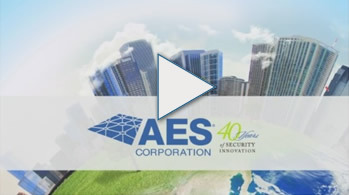 Our AES Support team of alarm industry experts are available Monday through Friday from 8am to 8pm EST and 24/7 for emergency IP Link and AES-MultiNet Receiver down situations.